In Arizona, State Law says: “You have the right to choose the repair facility to repair you vehicle” and it is illegal for any insurance company to tell you where to take your vehicle. Today's modern factory finishes incorporate multiple coats of highly specialized paints. We have made a major investment in the finest computerized paint mixing system available and constantly upgrade our equipment and database to ensure that each vehicle we paint matches the factory original color. We take special pride in our ability to match factory finishes as the final step in the restoration process. You will be notified when your vehicle is ready to be picked up. Feel free to give us a call at 928.341.4660 during the repair process if you have questions or concerns. Yes. 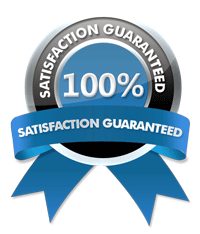 Sutton's Auto Body guarantees all repairs with a Limited Lifetime Warranty. The easiest and most convenient way to pay for your portion of the repairs to your vehicle is with a major credit card. We accept Visa, MasterCard, Discover, and American Express. We also accept cash as well. You may wash the vehicle by hand with cool water and a very mild car wash solution using a soft cloth or sponge. Always use clean fresh water and wash your vehicle in the shade. Do not use a commercial car wash. Stiff brushes or sponges could mar the finish and damage the surface. Do not "dry wipe" your vehicle. Dry wiping can scratch the finish. Do not drive on gravel roads. Chipping the finish is easily done in the first 30 days. Avoid parking under trees and utility lines which are likely to attract birds. Bird droppings have a high acid content and will damage a freshly painted surface. Also, tree sap can mar or spot a freshly painted surface. Do not spill gasoline, oil, antifreeze, transmission fluid, or windshield solvent on the new finish. Do not scrape ice or snow from the newly painted surface. Do not wax or polish the vehicle. This will allow the finish to dry and harden completely.